Summerleaze Beach at Bude. 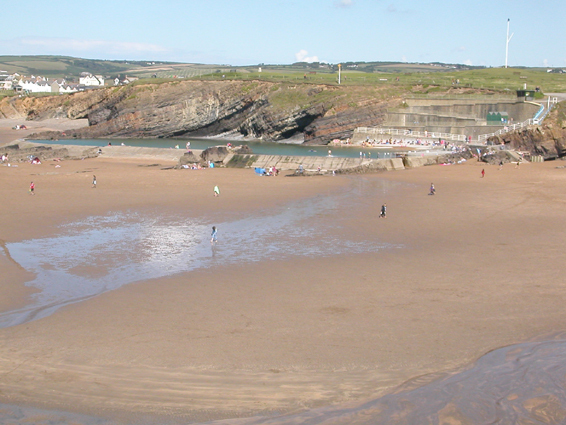 In the centre of the picture is a swimming pool which is maintained by the incoming tides. Surprisingly cold bathing even on the hottest of days!